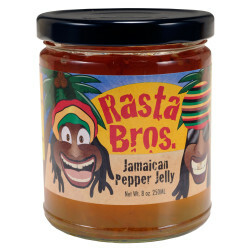 Rasta Bros. Mango Marley Pepper Jelly | Rasta Bros. 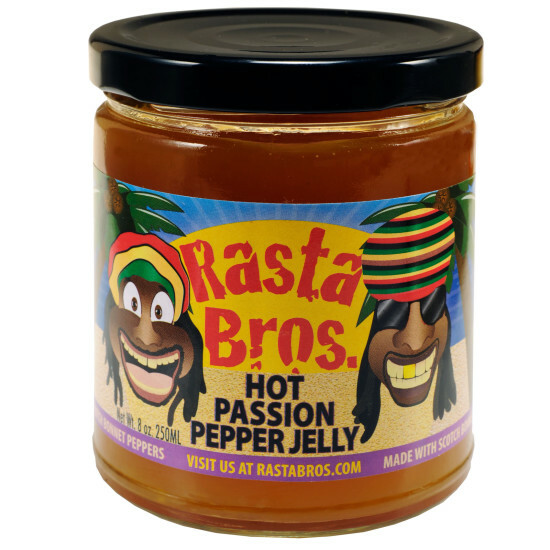 This sweet and pleasantly fragrant mango pepper jelly lets you savor the flavor of fresh Mango followed by a Scotch Bonnet pepper kick! It’s Mango-Tastic! 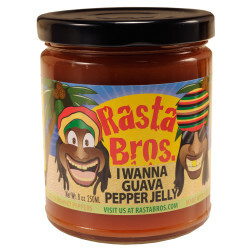 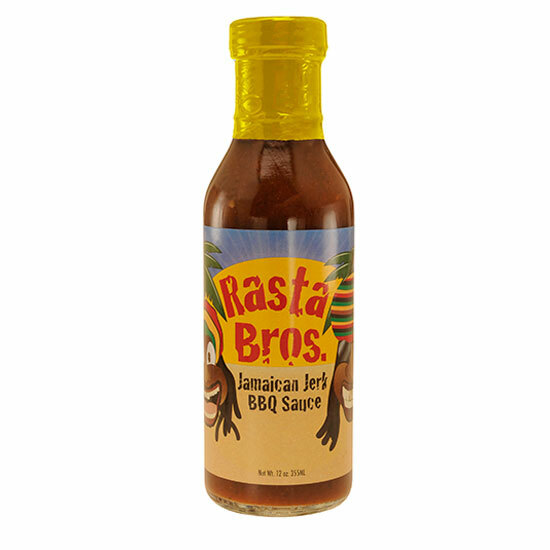 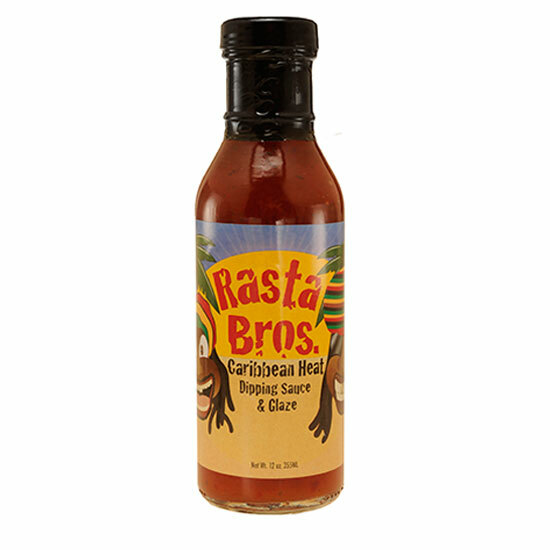 Rata Bros. Mango Marley Pepper Jelly is great on an English muffin or bagel with cream cheese. 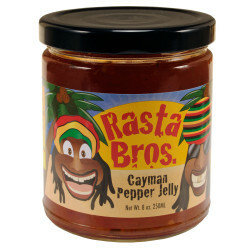 Or spread over cream cheese and serve with snack crackers at your next party. Sugar, Cider Vinegar, Bell Peppers, Apples, Pectin, Scotch Bonnet Peppers.